This high-performance exterior family of fixtures offers an extremely wide range of light output, beam angles, and accessories. 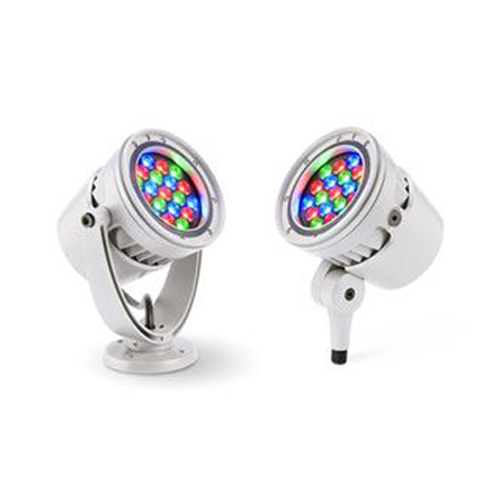 Our intelligent ReachElite color flood fixtures are the latest generation technology and LED’s. Ideal for illuminating large surfaces, flood fixtures can throw color-changing light to great heights for full-saturation of surfaces. ColorBurst IntelliHue Powercore brings the precise control of color and high-quality tunable white light in the same luminaire for outdoor wall washing and spot lighting applications. The IntelliHue technology delivers 80+ CRI (2700 K – 4000 K) and the ability to tint any CCT between 2000 K and 10000 K above and below the black-body curve. deliver full-color light output of up to 1,151 lumens to support a range of dynamic uplighting, floodlighting, and decorative lighting applications. 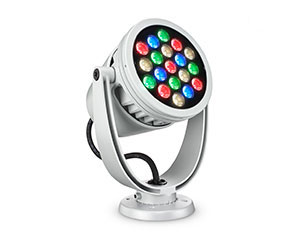 ColorBurst Powercore gen2, RGBW is a high-output, exterior-rated LED lighting fixture designed for accent and site lighting. Standard format Architectural and Landscape fixtures deliver full-color light output of up to 1,293 lumens to support a range of dynamic uplighting, floodlighting, and decorative lighting applications. 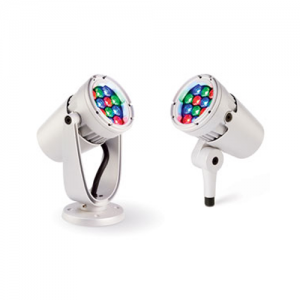 ColorBurst Powercore gen2, RGB is a high-output, exterior-rated LED lighting fixture designed for accent and site lighting. Standard format Architectural and Landscape fixtures deliver full-color light output of up to 963 lumens to support a range of dynamic uplighting, floodlighting, and decorative lighting applications. 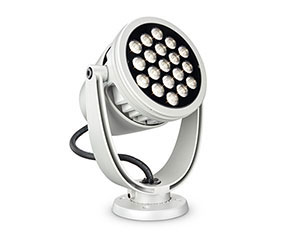 eW Burst Powercore gen2 is a high-output, exterior-rated LED lighting fixture designed for accent and site lighting. Architectural and Landscape versions deliver high-quality white light output in 2700 K, 3000 K, 3500 K, and 4000 K to support a range of uplighting, floodlighting, and decorative lighting applications.